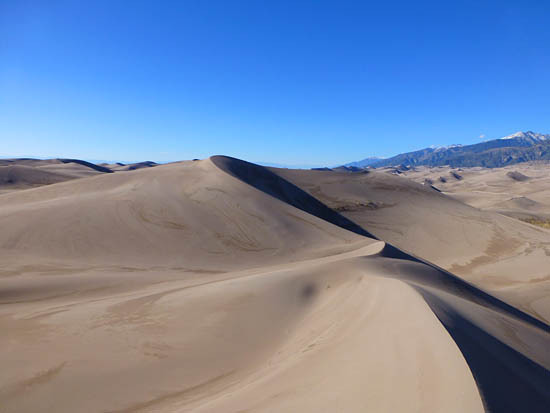 A sand hill or sand ridge formed by the wind, usually in desert regions or near lakes and oceans :: Dunes such as ones found in North America's desert regions form over thousands of years as blowing sand reaches an insurmountable obstacle (such as mountains). When sand particles can go no further, wind churns the blocked sand into very fine particles and deposits them at or near the base of the obstacle. An arid climate is the foundation for such a process.